A delicious warm salad with spicy chorizo. I've used sliced chorizo as it's cheaper but use the sausage kind if you have some! 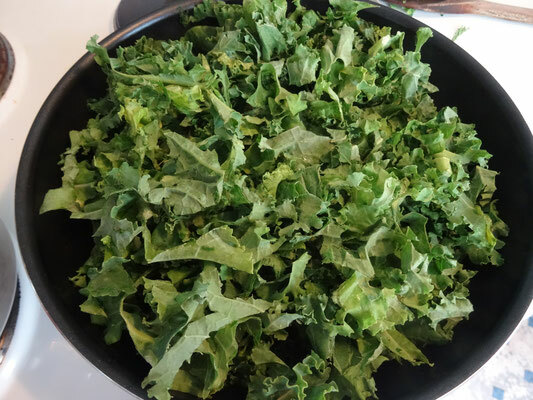 I love this for lunch but you could also serve as a side dish! 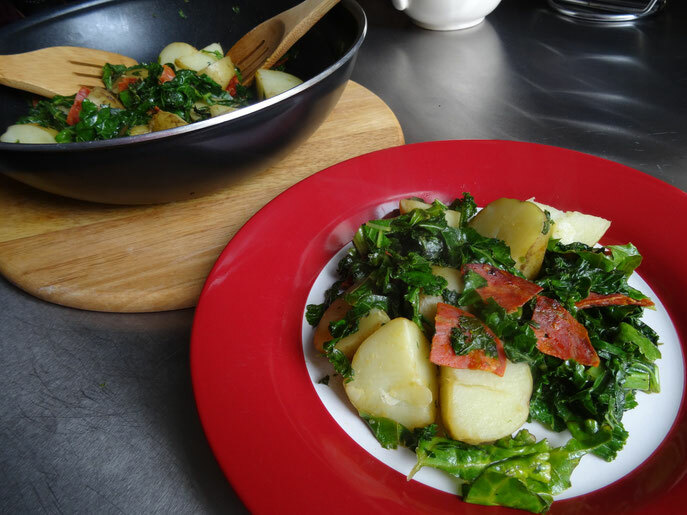 Cook the potatoes in a pan of boiling, salted water until just tender. Drain & set aside. 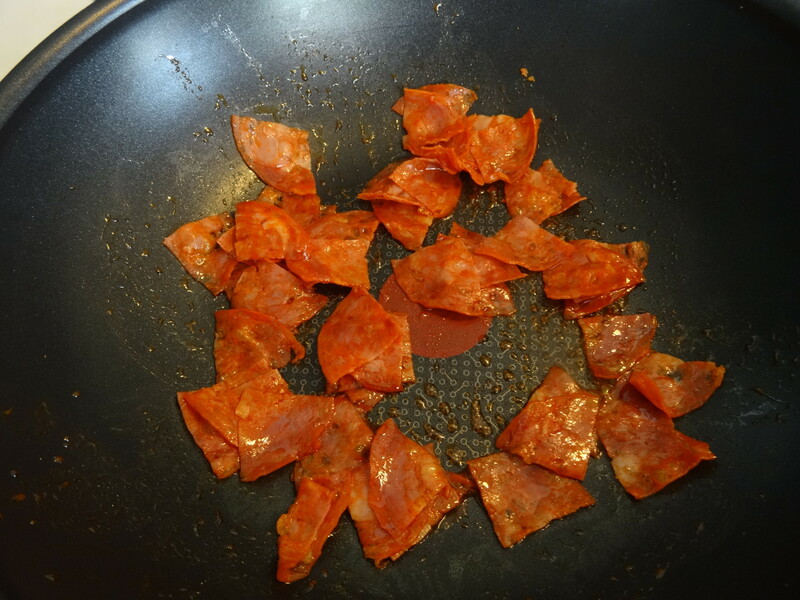 Place a large frying pan over a medium heat & cook the chorizo until just starting to colour & it's oil is released. Add the kale to the pan-don't worry if it seems like a lot it will soon wilt down! 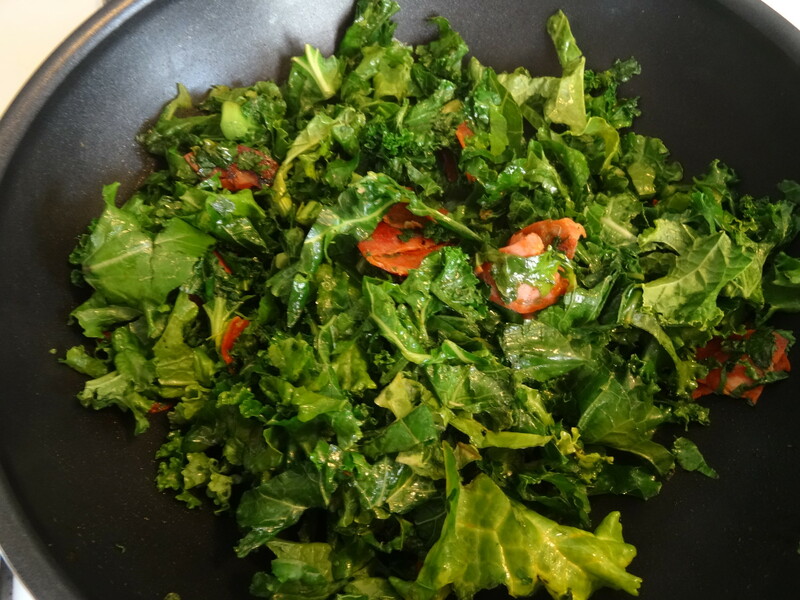 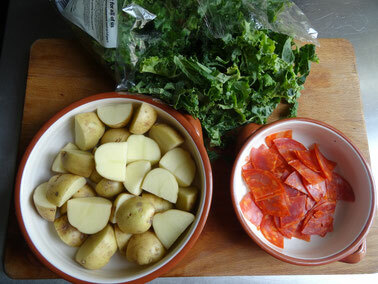 Keep turning the kale over in the pan with the chorizo to stop it from sticking & burning. 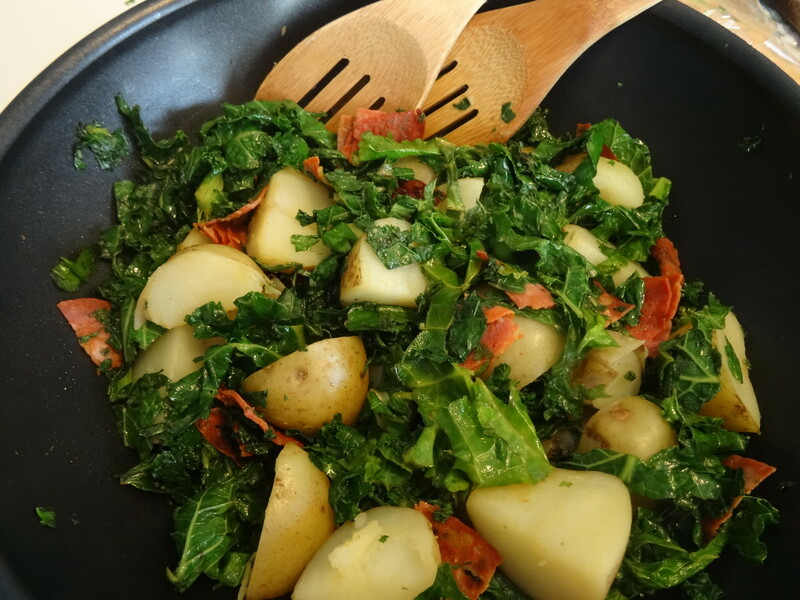 Once the kale has wilted right down add the potatoes & toss everything together so that it gets coated with the oil from the chorizo.